Rock Doves formerly bred on the Peterson farm. They are abundant on adjacent farms such as the one near 24 and Highway 65. They are no longer common on the area. 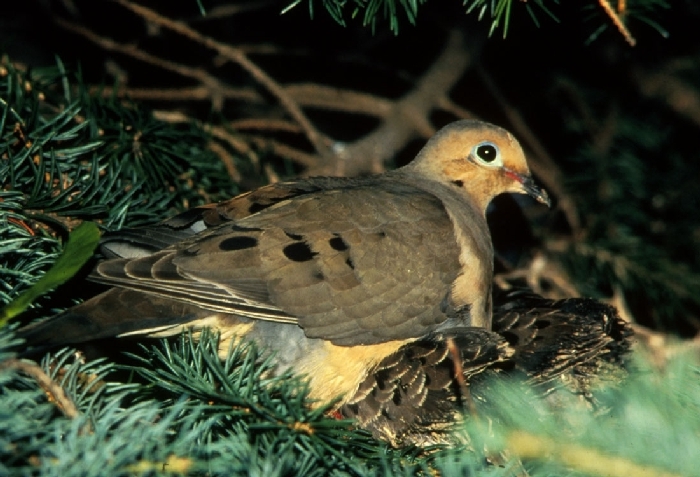 Mourning Doves are common and conspicuous at Cedar Creek. They breed in the deciduous woodlands, though not in large numbers. Nests may be more common in adjacent residential areas. Nests in trees and bushes are much more common than ground nests.